Transporting items to the Maskelynes continues to be a challenge with no direct access by road or air. We are very grateful to the captain and crew of Tallship “Soren Larsen” for helping with the transport from New Zealand of donated items of medicines, books and clothing over the past 2 years. Once again, the Butterfly Trust will need help with transport in 2012. If anyone can help or know of anyone who can, please contact us by email to david.lynn@butterflytrust.org. 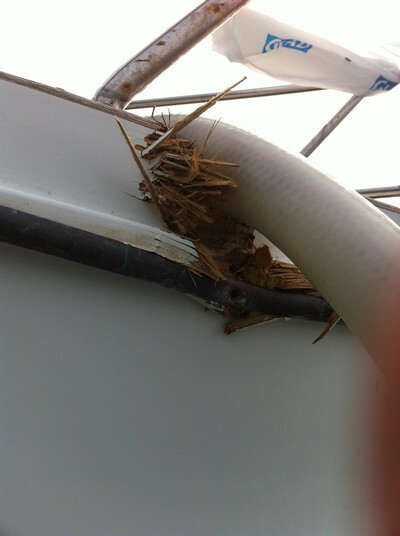 We use our yacht, Rireana, as a base for the work of the Butterfly Trust. 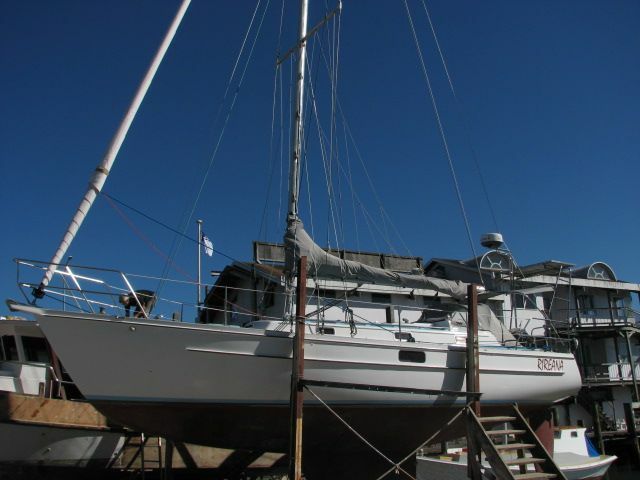 Rireana is an Owen Woolley designed yacht, 10.6m long, 3.0m in the beam, with a draft of 1.9m. 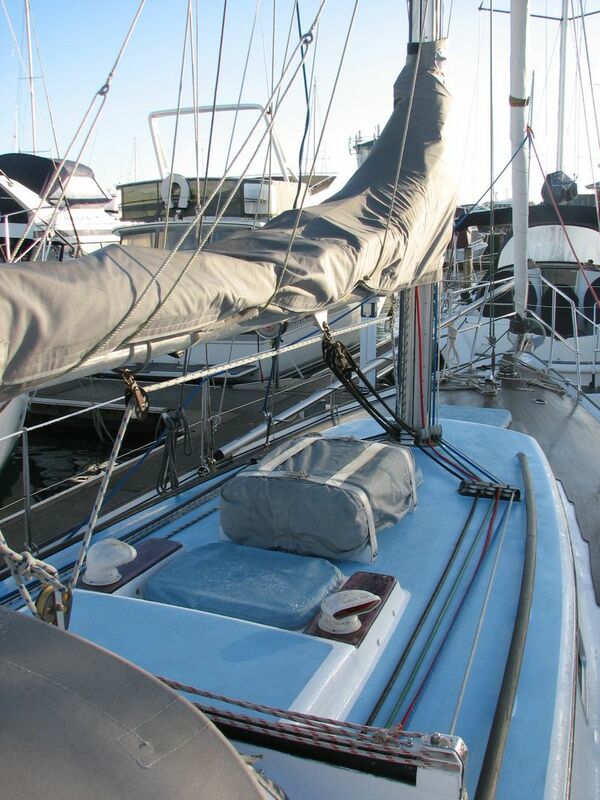 She is sloop rigged with an added inner forestay. 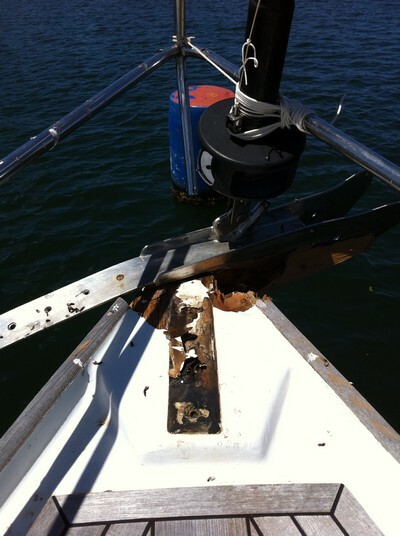 She is constructed of wood – triple skin, diagonally planked kauri – with epoxy and fibreglass sheathing. 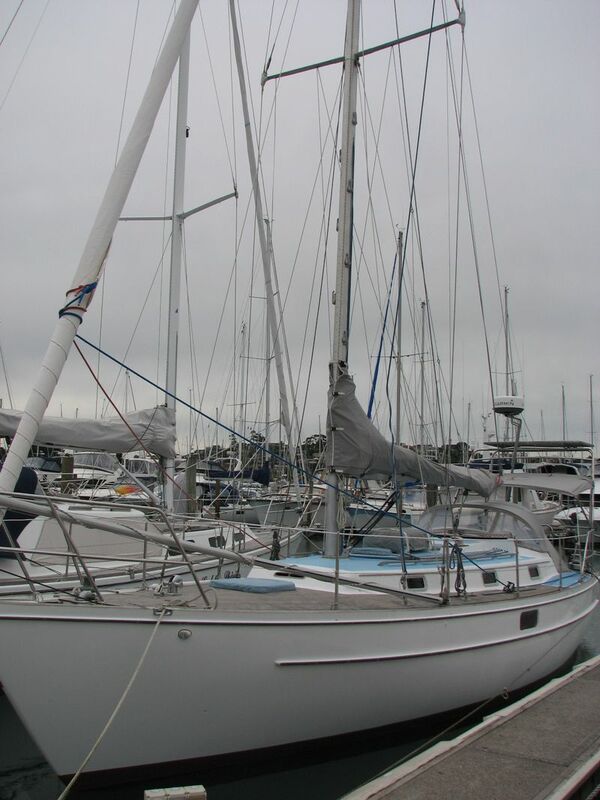 She was built by Ian Hyde-Hills and launched in 1990. We took over guardianship of Rireana from Ian in early 2006. Since then Ian has remained an integral part of Rireana’s journey. Here are some photographs of Rireana. We returned to Rireana in February 2011 (after a stint in far north Queensland looking after the vanilla farm of Fiona and Matt George-Allen). We then did a lot of maintenance work on Rireana, before heading south through the Sandy Straits to Mooloolaba and Brisbane. 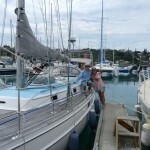 We eventually ended up at Scarborough Marina just north of Brisbane to ready ourselves for the sail back to Vanuatu. 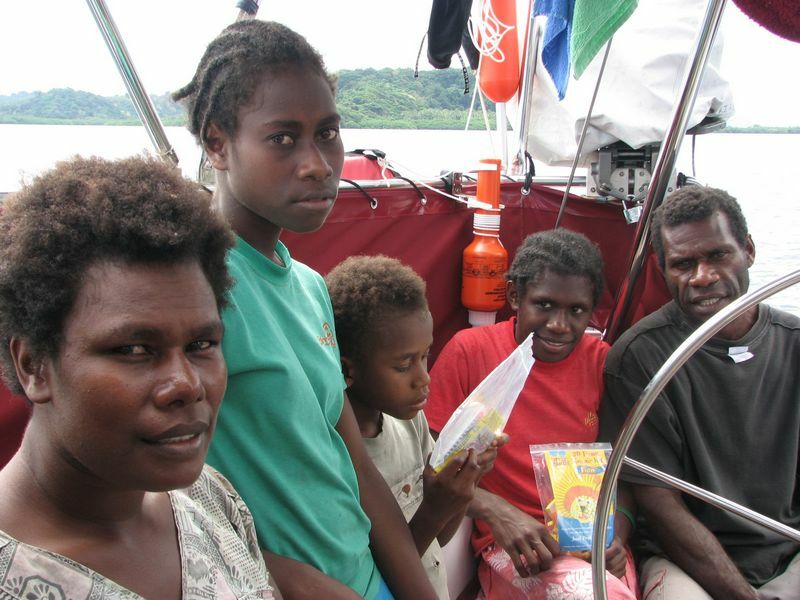 We were a bit anxious about the trip east across the Coral Sea, it being against the prevailing south-easterly trade winds. However, in the end, the weather window we picked (with the help of Bob McDavitt) was even more placid than we expected. So placid in fact we motored almost two thirds of the way to Noumea. 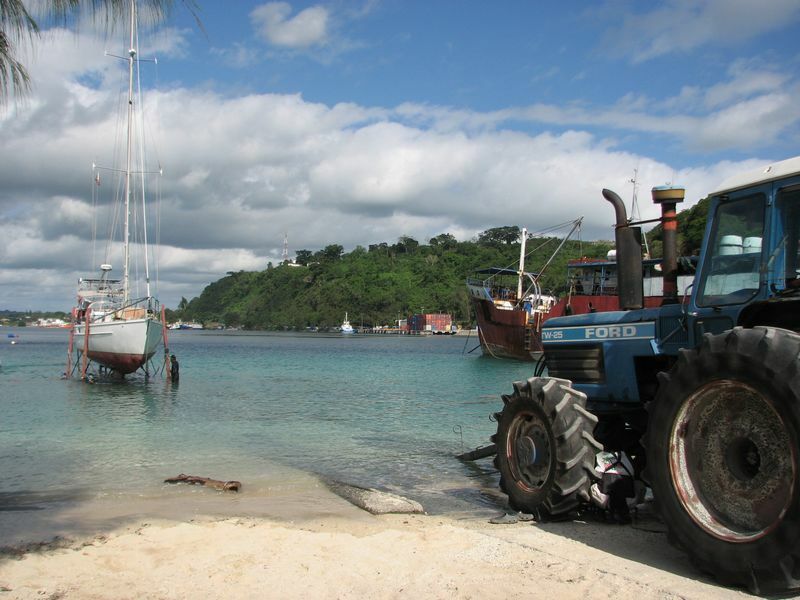 By the time we docked in Port Moselle we had 25 litres of fuel remaining. Luckily we had Ted Jordan on board for this trip who was great at calculating optimum engine revs and fuel usage. 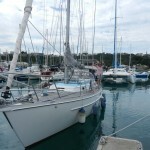 We had a quick turnaround in Noumea, Ted flew back to New Zealand, and we sailed up to Vila, a trip of about 3 days. After a month spent in Vila doing the bureaucratic side of Trust work, we again headed for the Maskelynes on an overnight trip. 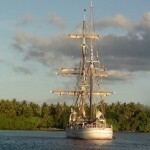 It is about a 17 hour sail and has to be timed so that we can enter the reef at Sangalai Harbour in daylight. 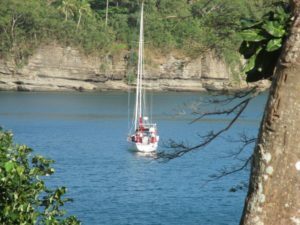 We lived at anchor in Sangalai Harbour for the next 3 months, although had to move anchorage on occasion to escape strong south-westerly winds which put us onto a dangerous lee shore in the harbour. 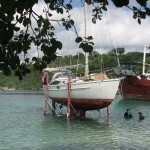 We returned to Vila, spent some more time on a mooring there, and then sailed again for New Caledonia. This was a relatively fast trip. After two seasons of sailing we had used up a lot of our long term supplies and reduced the weight on the boat. 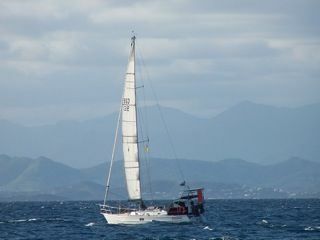 With relatively light winds forward of the beam and a slight sea, we averaged just under 6 knots on the trip to Noumea. That is quite respectable for a boat of Rireana’s size. 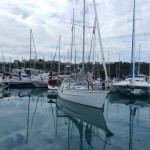 Once in Noumea, we decided to leave Rireana there while we returned to New Zealand for work. The reason for this being that ocean voyages, including the time spent waiting for suitable weather windows, take up a lot of time. We believed this time was better spent fundraising and working this year, given the effects of the global recession. 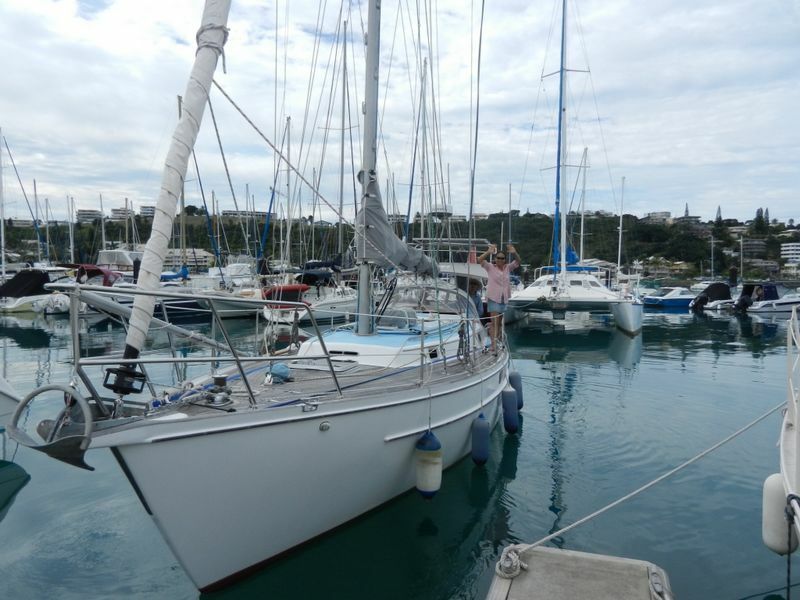 So we left Rireana tucked up in Port du Sud marina in Noumea in early November and flew back to Auckland. Our friend Thierry Boujon is keeping close watch on Rireana while we are away. 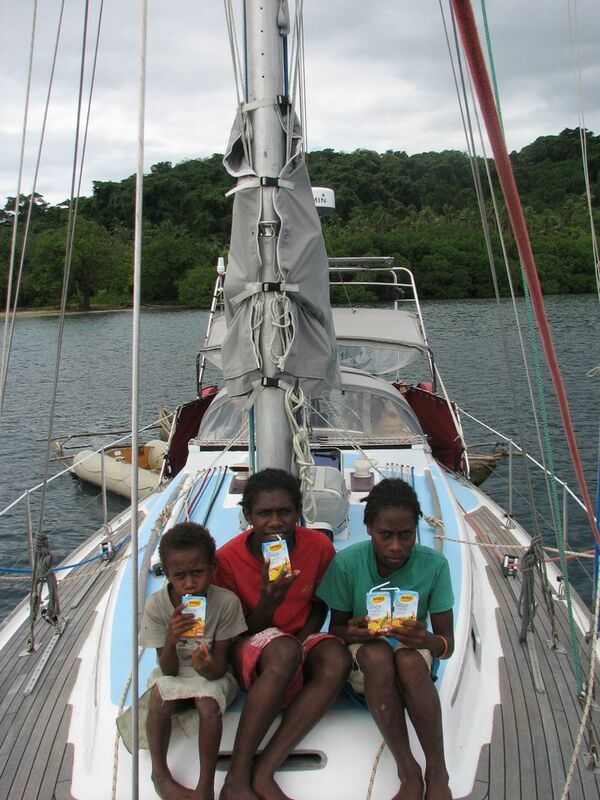 We hope to be back on board in mid-April and sailing back up to Vanuatu soon afterwards. 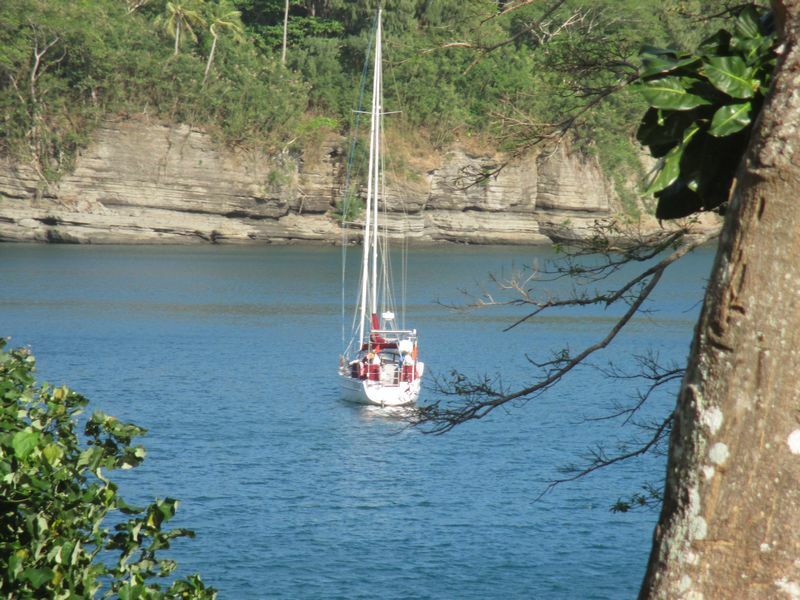 We sailed from Opua, New Zealand, in June 2010, with Tim Frost as crew, and headed directly for Port Vila in Vanuatu. The trip took about 10 days and was largely incident free. 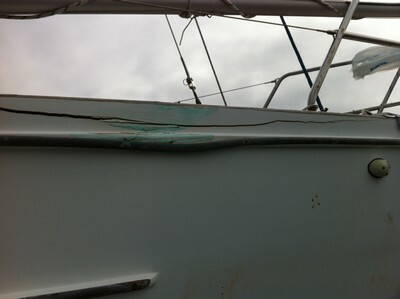 Lynn suffered from bad seasickness initially but in the last 2 or 3 days, when we were being knocked around by 30 knot winds and a very confused sea, she was luckily feeling much better. 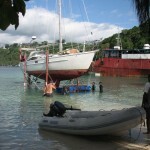 Tim paid off in Port Vila and flew back to New Zealand. 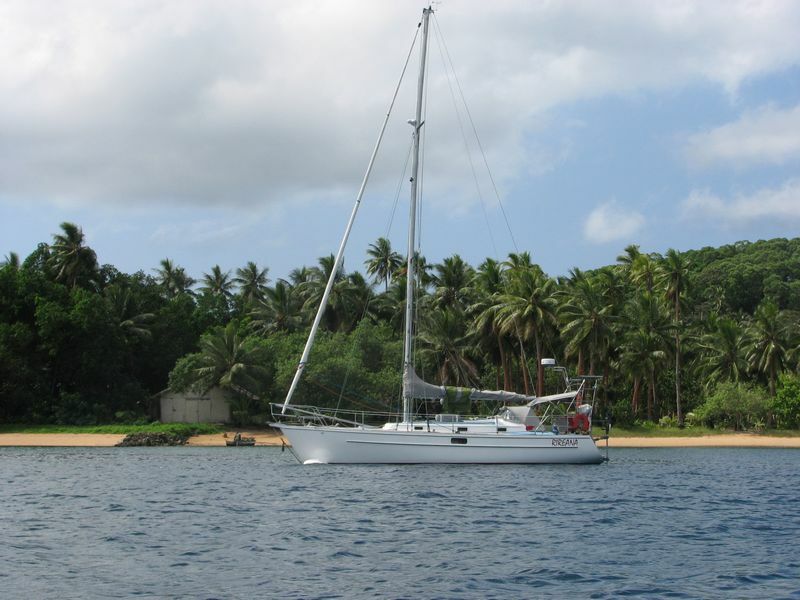 From Vila we headed north to the Maskelyne Islands. This was an overnight trip in relatively light winds with patches of rain. We had Ian Hyde-Hills on board for this leg of the trip. Ian had joined us in Vila and spent most of the night helming Rireana. He eventually went below about 0500 hours after relishing the opportunity to steer his creation in tropical waters for the first time. Ian had generously offered his time to come up to the Maskelynes to provide vocational training in building skills and the use of power tools. 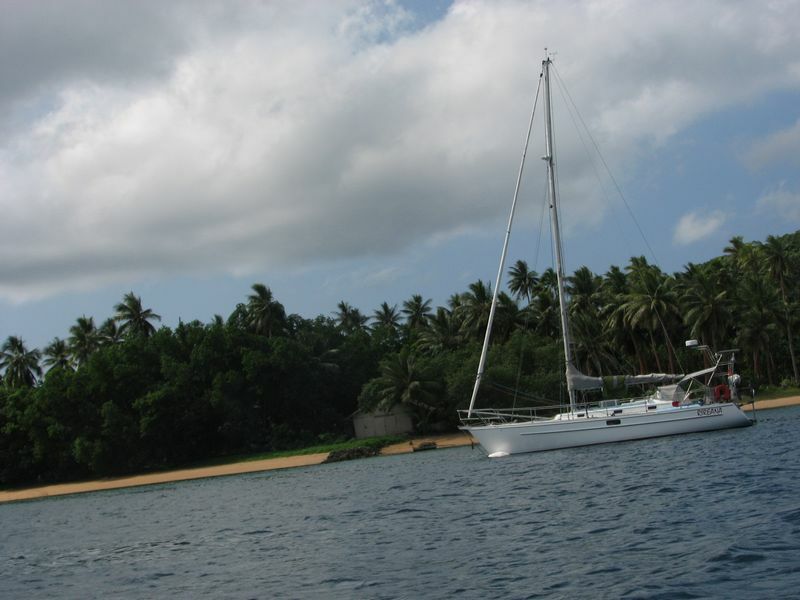 We lived on Rireana at anchor in Sangalai Harbour for the next couple of months (with one return sail back to Vila for Trust work). 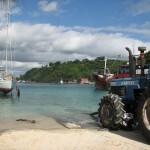 Then it was back to Port Vila to attend to more work there and to prepare for leaving Vanuatu. 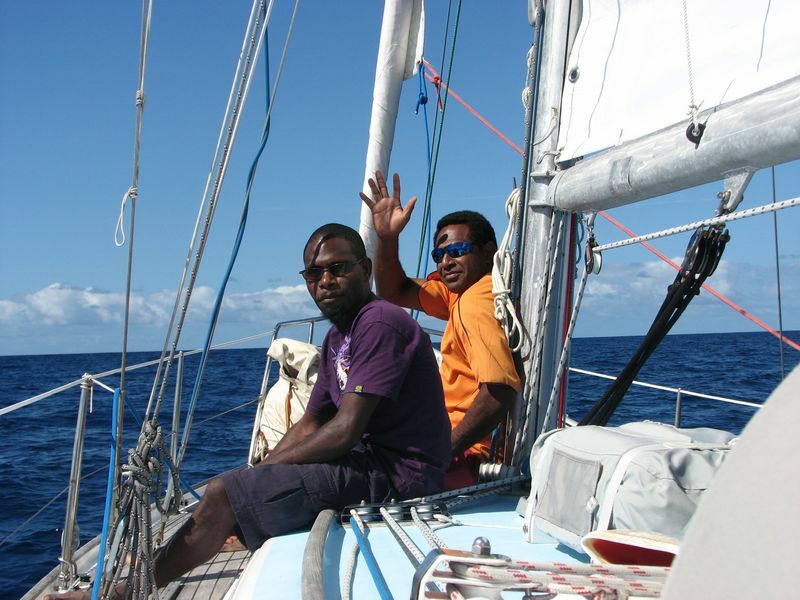 From Vila, we sailed south to New Caledonia. 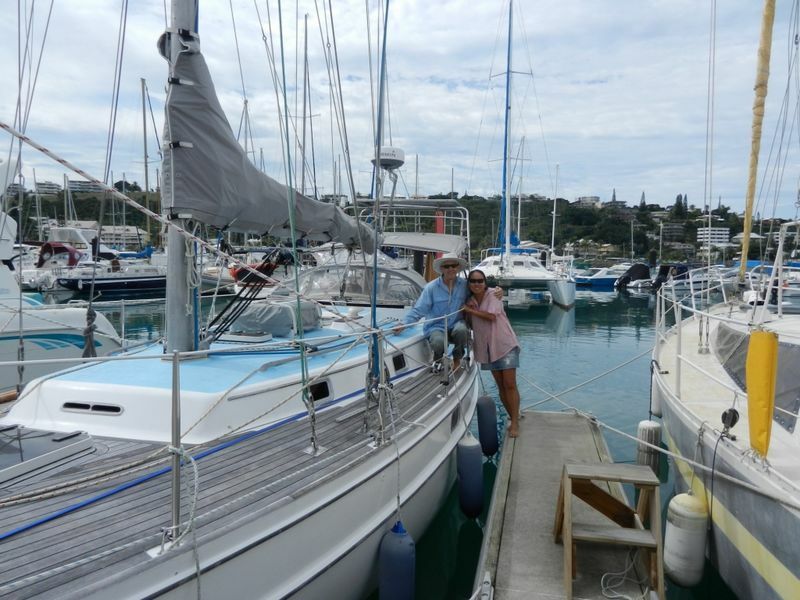 We cleared in at Lifou, one of the Loyalty Islands, and then made our way through the Havannah Passage in the south-east corner of New Caledonia and on to Noumea. 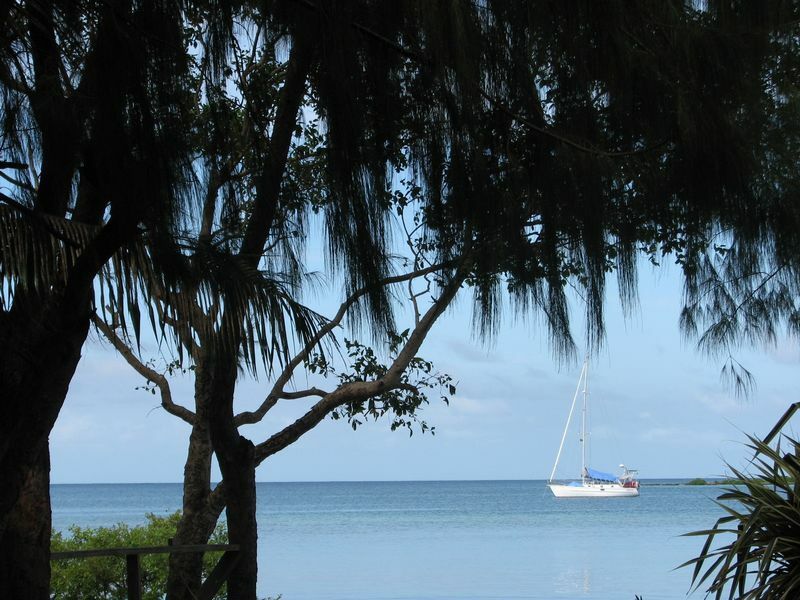 We spent a couple of weeks on mainland New Caledonia, before setting sail for Bundaberg in Australia. We were joined for the Australian leg of the voyage by Jim Hawke, an old sailing mate from Auckland, now resident in Queensland. 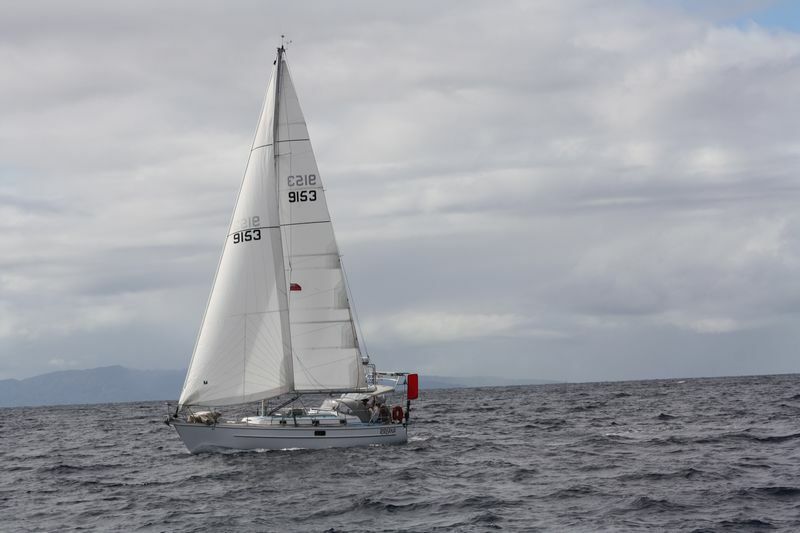 We copped a gale halfway across the Coral Sea and at one stage were caught surfing down a wave at just under 14 knots. That’s not bad for a small boat with a maximum hull speed of about 7.5 knots. We made landfall at Bundaberg after about 6 days sailing where Jim left us. 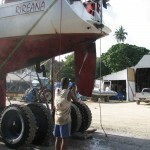 We hauled Rireana out of the water at Bundaberg and returned to New Zealand for work and more fundraising. We were away for the period of the Queensland floods and luckily Rireana was on the hard (as Jim had advised). 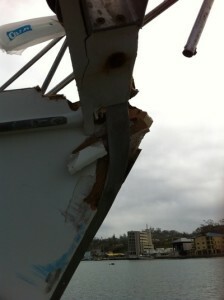 As a result of the floods, about 60 boats were lost out of Bundaberg, some never to be recovered. Rireana remained high and dry with our mate in Bundy, Judy O’Donoghue, checking on her every so often.